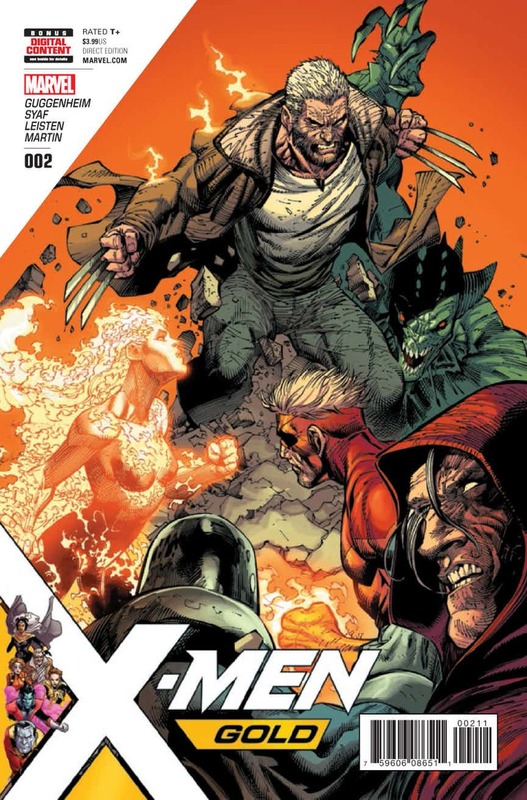 X-Men Gold #2 is another strong issue, proving that with Marc Guggenheim, this main X-Men book is in good hands. 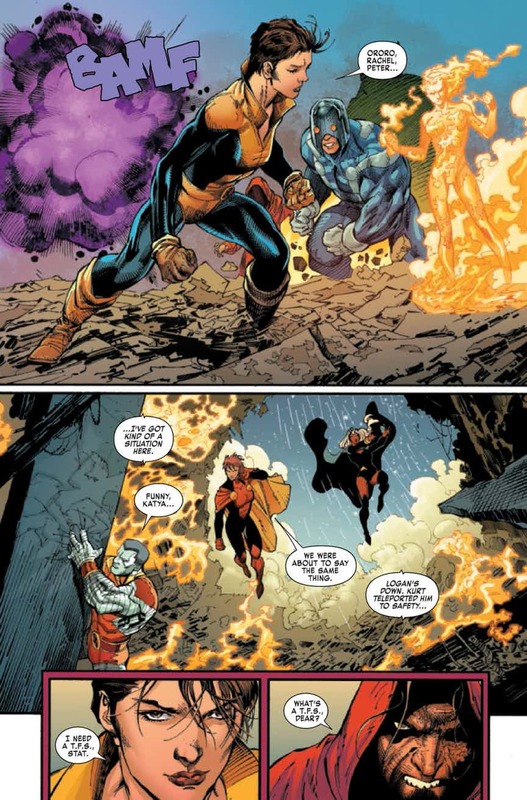 X-Men Gold is the flagship book of Marvel’s “ResurrXion” era. Writer Marc Guggenheim has joined the publisher to helm the franchise and so far, he’s got off to a stellar start, as the first issue was full of promise. But can Guggenheim continue in such a vein? The answer is: mostly, yes. Guggenheim is clearly an X-Men fan in his own right. He wears his geekdom on his sleeve, and there are so many subtle nods to the wider X-Men continuity here. Kitty Pryde calls in what she refers to as a T.F.S. – a Telekinetic Fastball Special – that will leave fans grinning. Old Man Logan gets in a few badass lines that are so very evocative of the Claremont era. Nightcrawler pays an unexpected visit to Madripoor. And yet, most admirably of all, this is all accomplished without leaving potential new readers at a loss. If you don’t know the history of the ‘Fastball Special,’ then the new trick is simply a cool strategy deployed by Kitty Pryde. If you aren’t familiar with Wolverine, the Old Man Logan scenes are still badass. And you don’t need to know anything about Madripoor to understand Guggenheim’s use of the island. Perfect. The action is fluid and well-thought-through, with the battle against the Brotherhood progressing perfectly from script to page. Artist Ardian Syaf is on top form, too – something of a shame, given he’s just committed possibly the most high-profile act of career suicide in comic book history. This issue will remind you why Marvel commissioned him in the first place; he really is superb, even if he is soon to leave the book. Characterization, meanwhile, is tremendous. Guggenheim knows just how to balance out a team, and he gives each character a unique voice. Fan-favorite Kitty Pryde again takes a central role, this time complemented by Old Man Logan. The scene where Logan breaks free from the Brotherhood is a work of genius, as entertaining as it is powerful and evocative. It’s easily a highlight of this issue. Unfortunately, that same scene is also problematic. 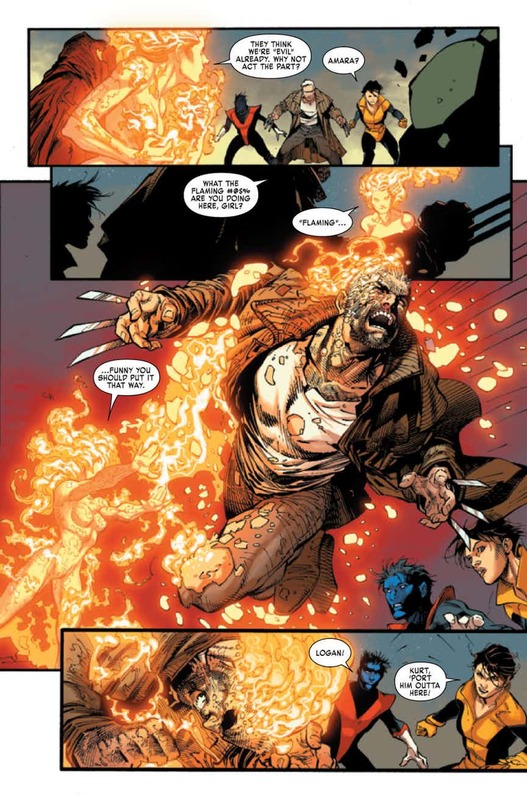 In terms of script, Guggenheim uses Old Man Logan just as he’d use the classic Wolverine. Marvel went to great lengths to kill Wolvie off back in 2014, but bringing in Old Man Logan and using the character like this just makes that decision seem pretty pointless. They might as well resurrect him and add him to the cast in place of Old Man Logan; you literally wouldn’t notice the difference. Rumbling in the background, Guggenheim continues to develop subplots for the future. The character of Lydia Nance is a fascinating one, perfectly positioned to exploit the traditional anti-mutant tensions. When she calls for the deportation of mutants, you can’t help but feel a sense of political allegory – just as you’d expect to find in the X-Men books. It’s not forced with Marvel’s merry mutants; it’s a core part of the franchise. Unfortunately, the second subplot – a mysterious new X-Cutioner – is launched a little more clumsily. It’s a brief scene that completely disrupts the issue’s flow, really drawing you out of the ongoing narrative. Guggenheim needs to work a little on pacing when it comes to these subplots. 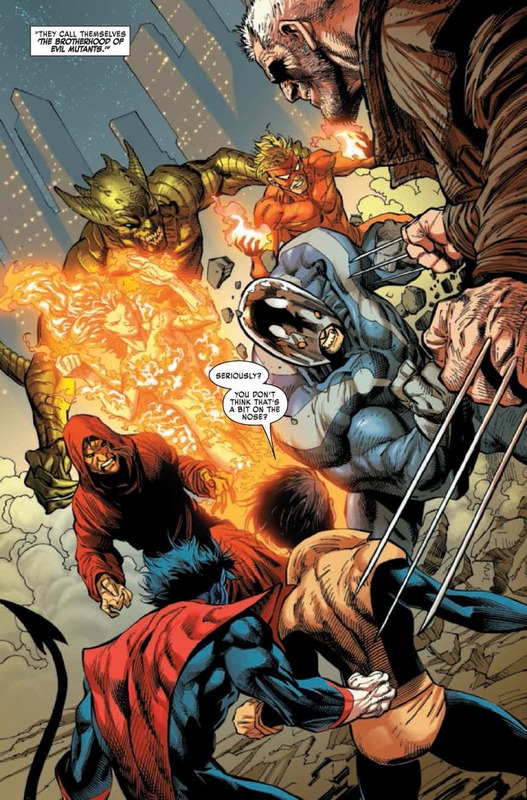 All in all, X-Men Gold #2 is a strong issue, but it’s not perfect; Guggenheim’s use of Old Man Logan is frustrating, and fans who are familiar with the X-Men mythos will have already joined the dots behind the new Brotherhood of Evil Mutants (hint: why would they use the word ‘Evil’ in their group-name?). 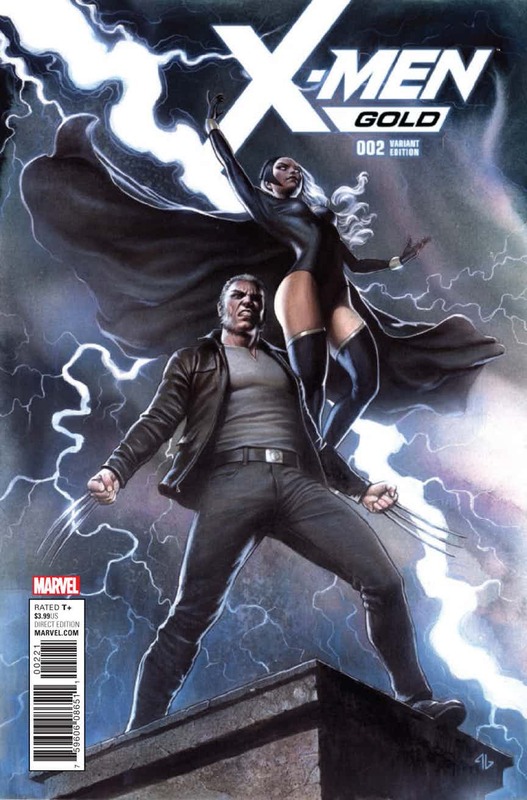 Still, this is a strong and enjoyable series, and it bodes well for the future of the X-Men franchise.